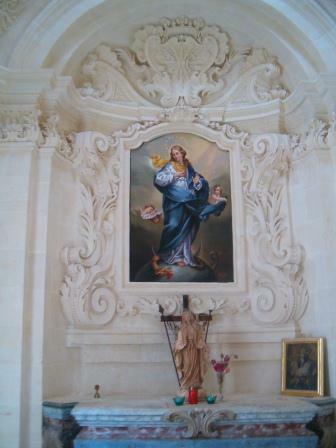 Bishop Baldassere Cagliares was a person who did not only appreciate art but also lived in a period where the church and state were competing to carry out the best works of art. 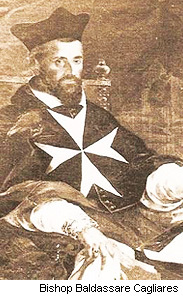 Bishop Cagliares was also the only Maltese Bishop chosen to lead the Maltese diocese when Malta was under the rule of the Order of St. John between 1530 and 1798. 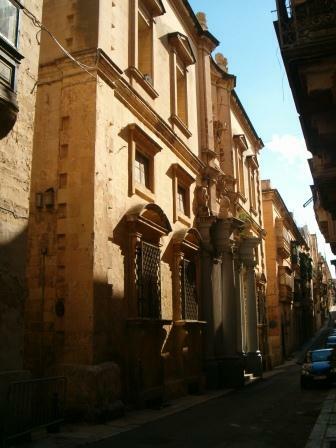 In 1622, he was responsible for the building of the Bishop’s Palace in Valletta. 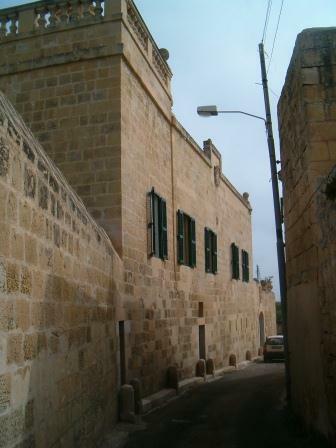 This was built only two years after he built another palace next to St. Joseph Chapel at the Cittadella in Gozo. 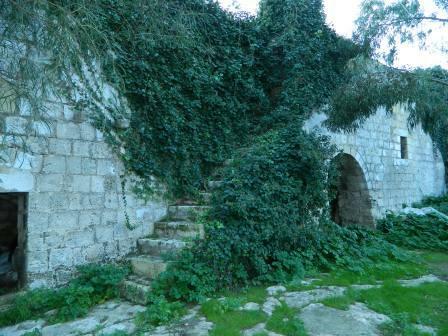 Cagliares has built two retreat villas, one located just outside Buskett and the other at iż-Żejtun. 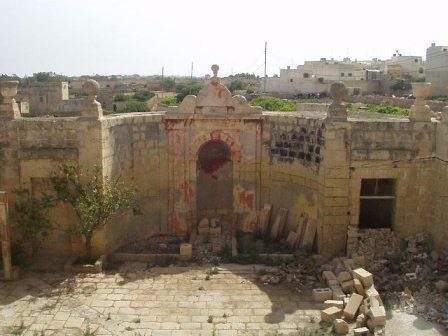 Most people from iż-Żejtun refer to this villa as “it-Tempju” (the temple) others know it as “Villa Cagliares”. 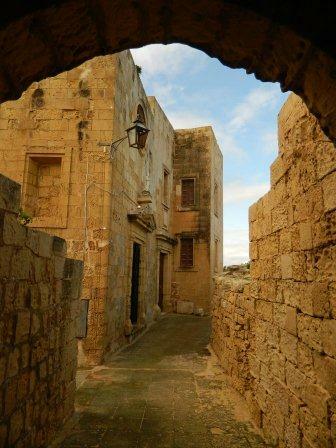 This villa is located at the lowest part of the town, just at the beginning of Triq Ħajt il-Wied, as soon as one leaves Triq Taltas. 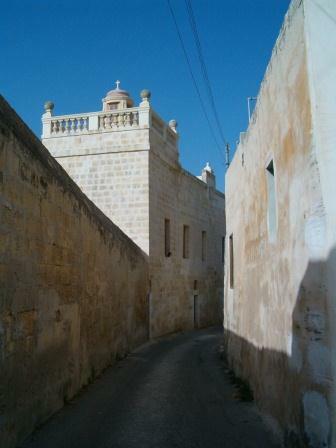 The area is commonly known as “ħajt il-wied” (the valley’s side) forming part of “Ir-Raħal t’Isfel”. This area falls along the main water course and includes the best cultivated land around the town. In fact, Wied Mazza, the valley passing right behind the villa, is characterised by a number of carob trees. 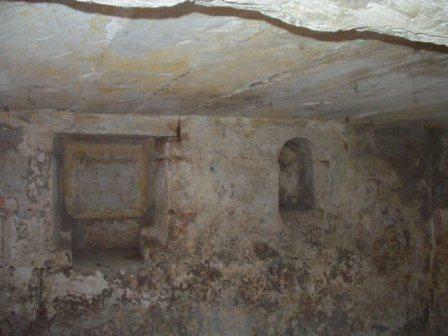 We do not know the exact date when this villa was built, however it is sure that this was built during the 17th Century when Cagliares was already a bishop. The building itself lacks architectural elegance which we usually associate with other palaces and villas of such important people. If not for the dome, surrounded by a balustraded parapet wall, built over a small chapel forming part of this villa, one could easily fail to realise that the building in front of him is a historic building. 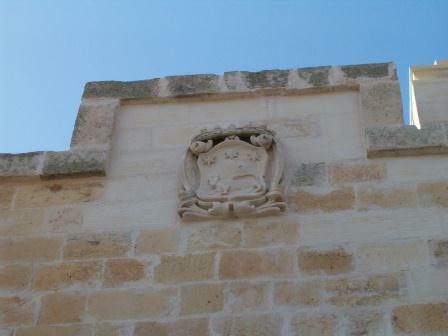 If one has to observe the facade in greater detail, one could notice a coat of arms carved in stone and located centrally at the upper part of the facade. 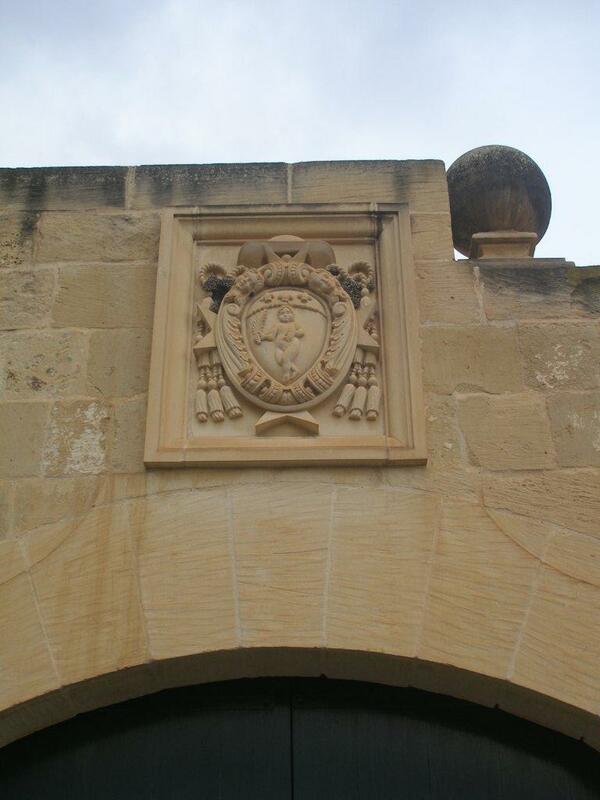 This coat of arms does not belong to Cagliares but to the Testaferrata family. 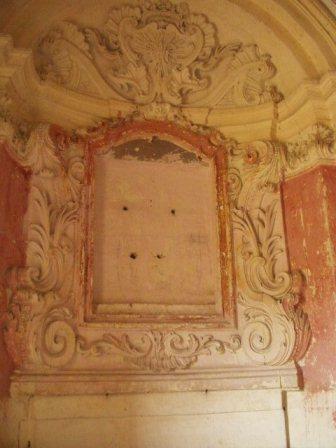 One also finds a similar coat of arms carved on a fountain in the main garden of this villa. This clearly shows that at some point in time, the villa changed ownership and passed to the Testaferratas who enlarged the to what we have today. Amongst the additions there is the chapel itself and a substantial part of the first floor. This enlargement was done in the 18th Century. E.B. Vella in his book, “L-Istorja taż-Żejtun u Marsaxlokk” published in 1927, referred to another coat of arms pertaining to Bishop Cagliares. 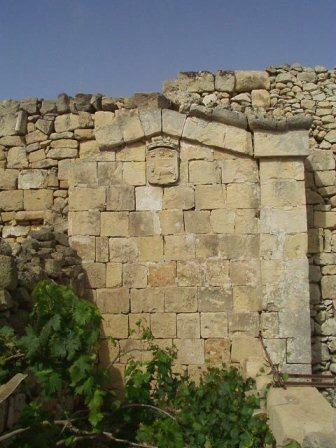 This was located on the remissa door leading to the villa courtyard, but seems that a point in time was removed. The first floor facade has a number of large window openings which contrast with the lack of opening at ground floor level. Security was clear reason behind this. 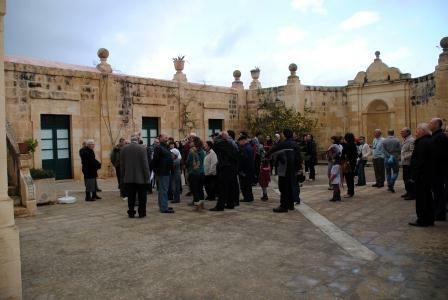 The main entrance to the villa is through the remissa door which leads to the main courtyard. Luckily this villa, some ten years ago was bought by new owners who were particularly keen in restoring this building to its original glory. When they went into this building they found that the chapel was still being used as a fodder store, as was explained by E.B. Vella three-quarters of a century before. They also found that the building had a number of structural problems which had to be looked at immediately. Today the villa has been completely restored and lived-in. 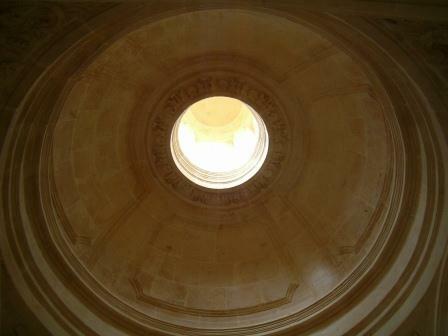 This was only possible after years of restoration works. We are grateful to these owners who valued this architectural heritage and saved it for future generations. 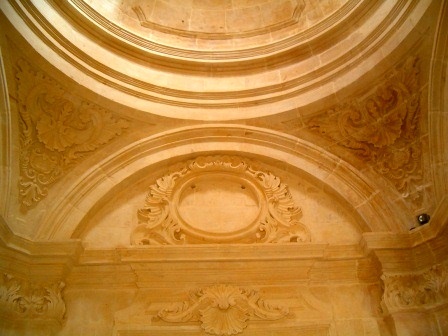 It is also worth mentioning that in 2006, the restoration of this villa was awarded the Prize for Architectural Heritage, Prix d’Honneur by Din l-Art Ħelwa.